NEW YORK, NY— May 10, 2011 – Barry Sonnenfeld (Men In Black, Get Shorty, Addams Family, Addams Family Values and “Pushing Daisies,” for which Sonnenfeld received an Emmy for directing), announced today a publishing and producing partnership with Liquid Comics and producer, Arnold Rifkin (Hostage, 16 Blocks, Live Free or Die Hard). Under the new partnership, Sonnenfeld will simultaneously develop a graphic novel and film property called, “Dominion: Dinosaurs Versus Aliens,” with superstar comic book writer, Grant Morrison (Batman, The Invisibles, 18 Days), who will write both the graphic novel and the screenplay. “Growing up my fascination was all things dinosaur, and as an adult, I’ve had some success making films about aliens, so this is a dream come true. I met Sharad several years ago when I wrote a forward for one of Liquid’s graphic novels and we’ve been trying to do a project together ever since,” commented Sonnenfeld. 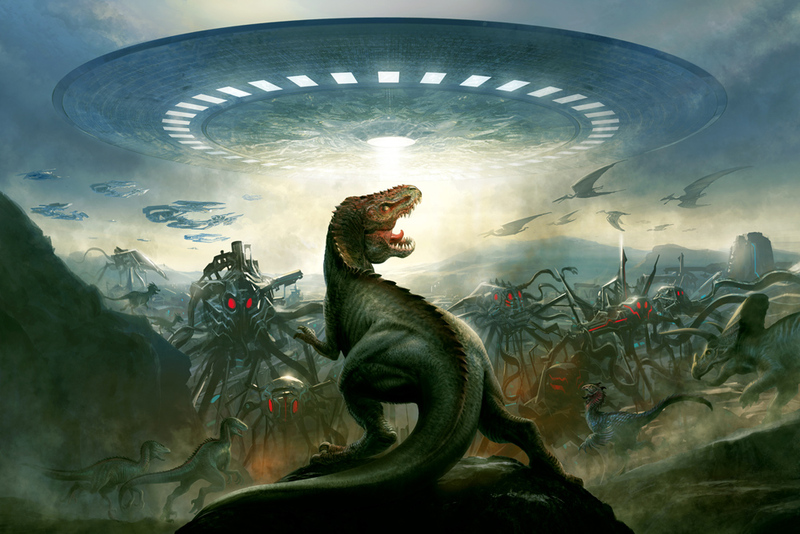 The story for Dominion: Dinosaurs Versus Aliens is based on a secret world war battle that was never recorded in our history books. When an alien invasion attacks Earth in the age of the dinosaurs, our planet’s only saviors are the savage prehistoric beasts which are much more intelligent than humanity has ever imagined. Sonnenfeld, Rifkin and Liquid’s CEO & Co-founder, Sharad Devarajan shall be Producers on the film, with WME packaging the project. Morrison and Liquid’s Co-founder, Gotham Chopra shall also be attached as Executive Producers. Liquid will launch the first graphic novel story for the franchise later this year in print and digital formats for the iPad, iPhone and other mobile devices. Artwork for the graphic novel will be done by acclaimed Liquid Comics artist, Mukesh Singh (Gamekeeper, Devi, 18 Days).